You’ve seen the Coca-Cola cans with the Singlish phrases ‘Chiobu’, ‘Kaki’ and ‘I love you’. 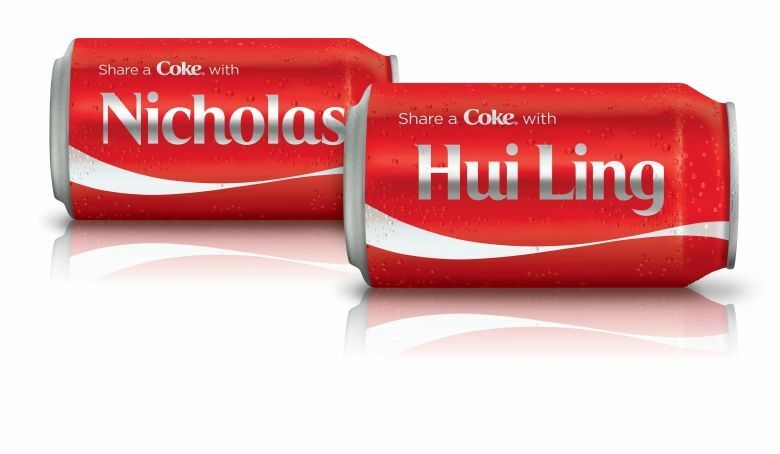 Now you can also have your own name or a message on a Coca-Cola can! Why not show someone how special they are with a personalized can? For every $10 you spend on Coca-Cola products, you will get the opportunity to create and share happiness.